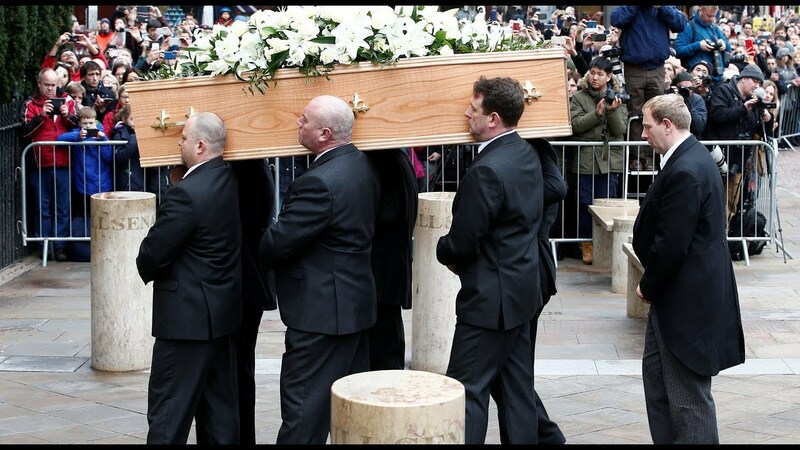 Around 1,000 people attended a memorial service in London for British physicist Stephen Hawking on June 15, as his ashes were laid to rest in Westminster Abbey. 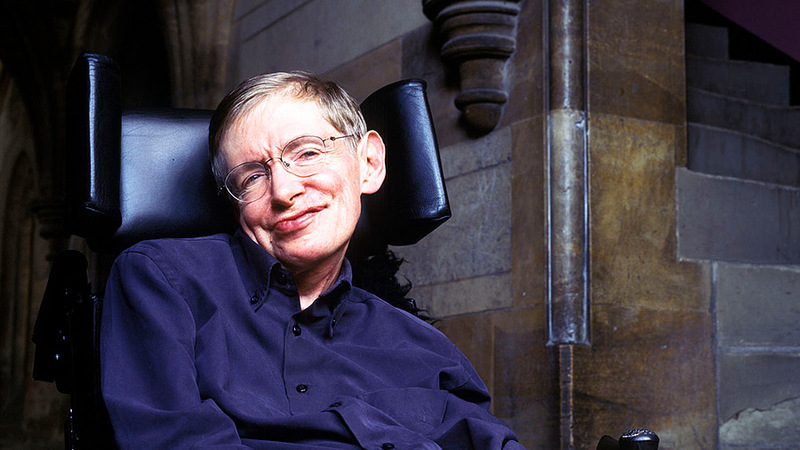 The universe that Stephen Hawking spent a lifetime studying now knows his voice. 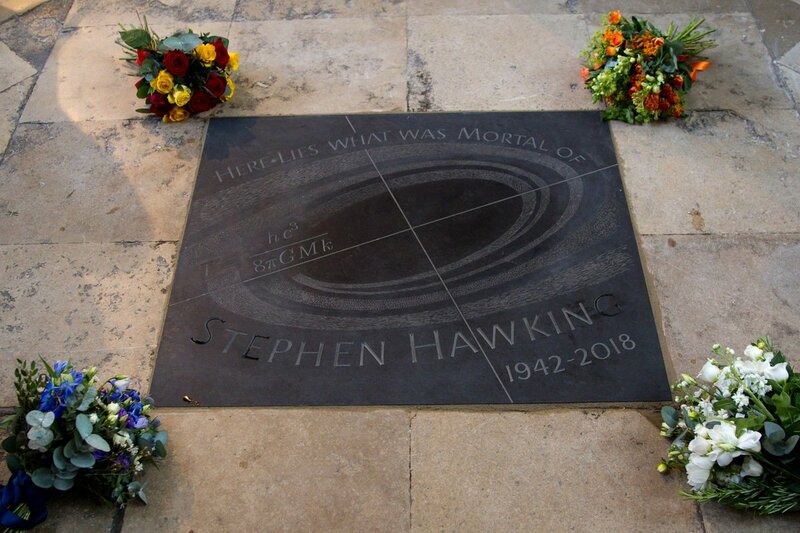 Following Hawking’s death in March, the renowned British physicist, who had battled a debilitating degenerative motor neuron disease for decades, was remembered at a memorial service Friday at Westminster Abbey. His ashes were buried between Charles Darwin and Isaac Newton and later covered with a gravestone — etched with an equation he used to teach the world about black holes. But at the same time his ashes were lowered into the ground, his voice was beamed from Earth thousands of light-years away toward the nearest known black hole in the universe. It was a “symbolic gesture,” his loved ones said, that finally let him travel into space. [Stephen Hawking, physicist who came to symbolize the power of the human mind, dies at 76] Family members, friends, fellow scientists and celebrities gathered Friday afternoon at Hawking’s memorial service in London to celebrate his life and legacy. “We come to celebrate the life and achievements of Stephen Hawking in this holy place where God has been worshiped for over a thousand years and where kings and queens and the great men and women of our national history and international influence are memorialized. We shall bury his mortal remains with those of his fellow scientists,” the Rev. John Hall, dean of Westminster, said during the ceremony, according to Westminster. During the ceremony, Hawking’s voice was also being beamed into the cosmos. Greek composer Vangelis — most famous for his Academy Award-winning score to “Chariots of Fire” — set Hawking’s voice to an original piece of music, which was sent into space through a massive antenna at European Space Agency’s ground station in Spain. It’s unclear what Hawking said in the recording, but CDs were created for those who attended the memorial service Friday afternoon. The European Space Agency said the ceremonial broadcast was beamed toward 1A 0620–00, a binary star system that includes a stellar-mass black hole — which is about 3,500 light-years from Earth. “It is fascinating and at the same time moving to imagine that Stephen Hawking’s voice together with the music by Vangelis will reach the black hole in about 3,500 years, where it will be frozen in by the event horizon,” the agency’s director of science, Günther Hasinger, said in the statement. This revelation impressed other scientists with the way it took Einstein’s general theory of relativity, which is essential for understanding the gravity of black holes, and connected it to newer theories of quantum mechanics, which cover subatomic processes. Plus, he threw in a dash of old-fashioned thermodynamics — achieving a kind of physics trifecta.